We’ve often blogged about the programs we offer to support military members in their educational goals. 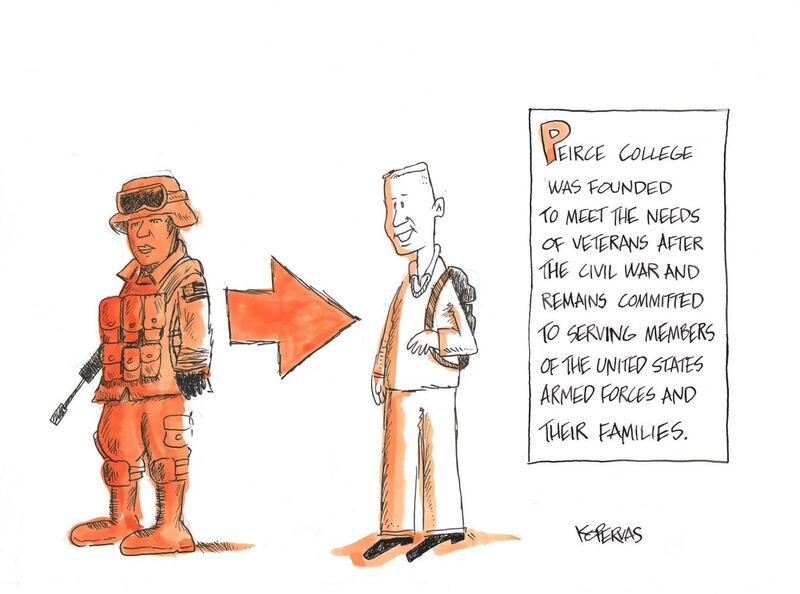 Peirce College was founded to help Civil War veterans gain the education they needed to return to the workforce, and we’ve continued that commitment to the generations of military members ever since. This month as the 150th anniversary theme focuses on our commitment to veterans, we wanted to highlight some of the key things that make Peirce a military-friendly school. Federal military education benefits. You can take advantage of the GI Bill and Yellow Ribbon Program at Peirce. We are also approved by Servicemembers Opportunity Colleges and have been included on the Military Friendly Colleges List for five years. Flexible degree programs. Peirce offers 100 percent online programs that make it easy to continue your studies while you’re working or on active duty. All Peirce degree programs focus on strengthening your knowledge and skills for practical application in the workforce. Financial assistance. The Peirce Protect & Serve Grant gives service members, their spouses, and dependents 25 percent off tuition. We also award five full-tuition scholarships to active National Guard members through the Peirce National Guard Scholarship Competition. Military students are eligible for other scholarships and financial aid as well. College credit for military experience. Peirce participates in the DANTES program, which lets you earn college credit for your military experience. The program is sponsored by the Department of Defense and is in partnership with the American Council on Education. Extensive military community. Current and former military members are easy to find at Peirce, and together they form a tight-knit support network. There are many active duty service members and veterans among our faculty, staff, alumni, and student body—including Eric Hanson, Anthony Williams, Clem Piscitelli, and Diana Kirkland, exemplary Peirce community members who we have featured on this blog. Military support team. 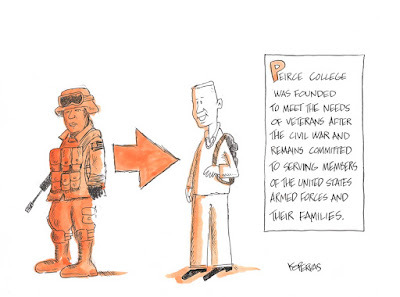 Peirce’s military support team is dedicated to helping military students navigate any phase of their educational journey, from the admissions process to financial aid, military benefits, academic advising, and career guidance. Military support events. We hold several fun events throughout the year, like our annual Veterans Day brunch and BBQ at Fort Indiantown Gap, to honor our military and help them learn more about educational benefits available to them. We believe education is a crucial step for the military as they transition to civilian life. For everything the military does for us, Peirce is committed to giving back.